As we age, our faces change. Over time, depending on the quality of our skin, we begin to develop wrinkles on our face, as well as deepening folds along our cheeks (i.e., nasolabial folds) and jowls with loosening of neck skin. Once this has occurred, there are few options left to correct the effects of time other than surgery. A facelift, or rhytidectomy, is a procedure designed to tighten skin and remove wrinkles while improving the jaw line and neck contour. At Lincoln Aesthetic Surgical Institute, we are committed to helping you look younger and stop the hands of time. With a facelift, incisions are made along the front of the ears, extending back behind the ears into the hairline. Dr. Mitchell is dedicated to helping you reshape your face and restore a more youthful appearance. Attention is in the details. 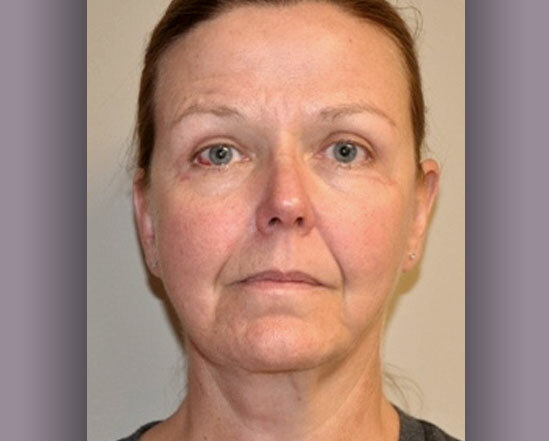 Dr. Mitchell believes a facelift procedure is not a procedure to merely remove the excess skin. Rather, through his technique, he works to reshape the underneath soft tissues of the face that descend over time, restoring the face back to its prior position and producing a natural, non-windswept appearance. A facelift is typically performed as an outpatient procedure under general anesthesia. Dr. Mitchell will see you the following day to ensure everything is healing as expected. If you are a smoker, you will be asked to stop smoking at least two weeks prior to the procedure and until everything has healed well, to reduce your risks of complications. Pain is typically minimal. Swelling is the most common side effect and resolves within two to four weeks. All potential complications will be discussed in detail during your consultation. Sutures placed at the time of the operation will be removed in one week. Scars typically heal well, and fade over time. If you are interested in a facelift, please contact us today or call at 402-483-8530 to set up a free consultation. Dr. Mitchell will meet with you privately to discuss if a facelift may be right for you.